Having viewed a few ideas over the holidays, I spent the first day back, after all the initial meetings and sessions, getting my classroom sorted. Can’t go in during the holidays with my boys, so got all prepared, ready to staple when I got in. As a job share, we both have things we’d like on the walls, so just happily staple around each other! I love being able to display students work. 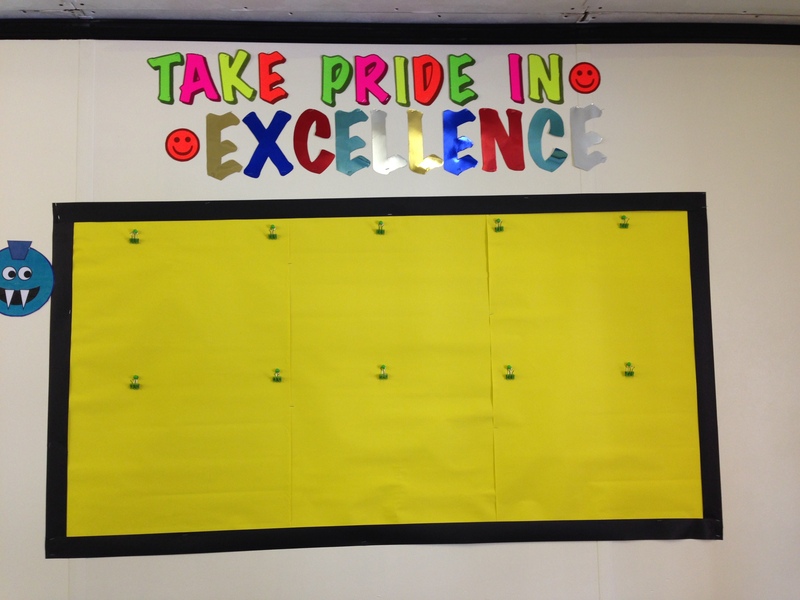 This year, I’ll be doing my best to display work which has shown an excellent effort and attitude in completing it. To make it easier, I nicked the idea of bulldog clips, pinned in, so I can quickly clip work onto the board. I saw this idea from a post on twitter – next is to write down who posted these ideas so I can credit them for it. 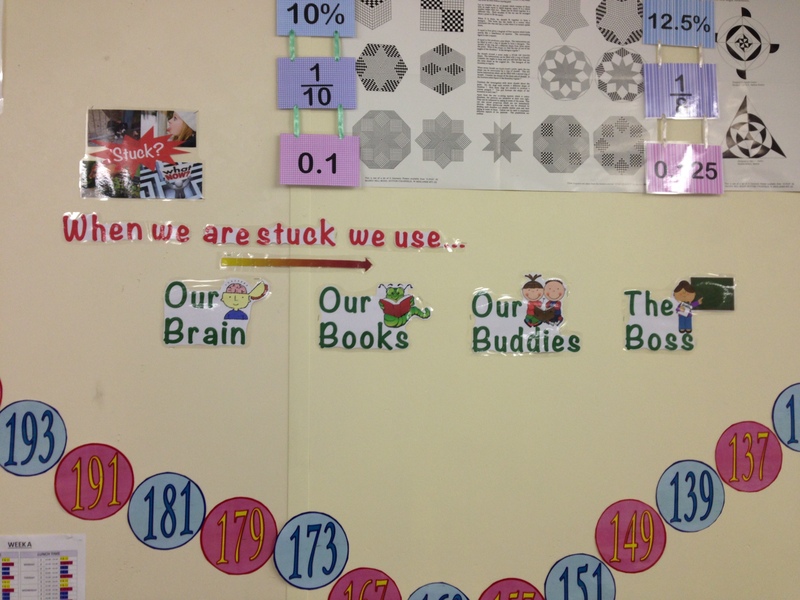 The next one I nicked from @just_maths. There’s a big emphasis on independence this year, so liked Just Math’s way of making it clear the steps to take before asking me! You can just see my Fraction, Decimal and percentage equivalents hanging in the background, in the hope that the more the pupils see the more common equivalents, the more it will sink in. 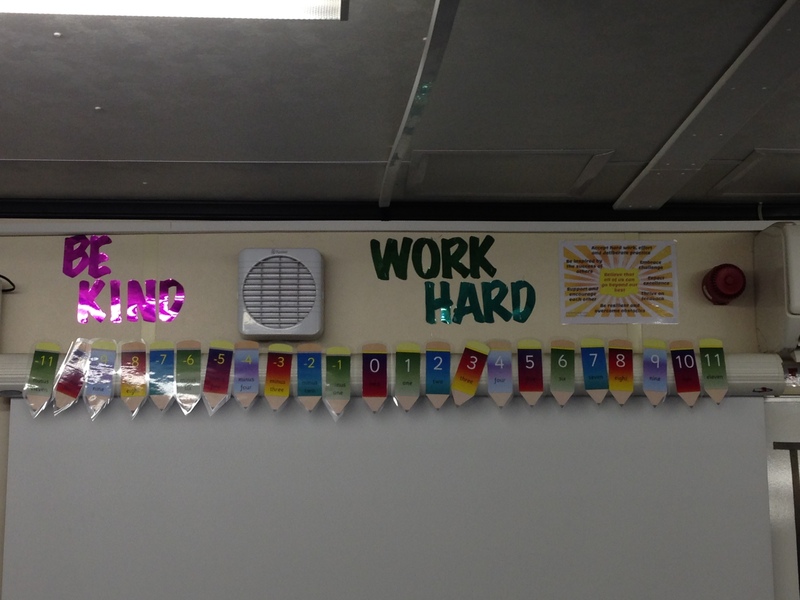 “Be Kind, Work Hard” I thought was a quick summary of expectations for the classroom, so displayed above the board to be seen every day! Again, I need to make sure in future I credit others properly, as this was another idea I saw on twitter. The number pencils have been on top of my board since I moved into the classroom! So with the classroom freshened up, I can now get down to the real job of knowing my pupils and preparing some lessons!